Which Type of Retainer is Best? 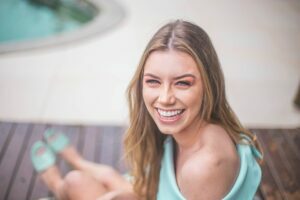 Whether you had extensive orthodontic treatment or just partial treatment, once your treatment with braces is complete, you'll need a retainer. Retainers are designed to keep your teeth from shifting back to their previous positions after your braces are removed. There are permanent (i.e., fixed lingual retainer), clear plastic, and Hawley retainers. These retainers serve the same purpose; however, as with any product or appliance, each type of retainer has its own pros and cons. Let’s explore these three types of retainers below. A permanent retainer consists of a wire that is bonded to the back of the teeth. If your teeth were rotated, had a lot of space between them, or were crowded prior to treatment, a permanent retainer may be a good option for you. Since this retainer is bonded to your teeth, you won’t have to think about putting it in or taking it out. Floss threaders need to be used. These allow you to floss between the retainer and your teeth. These retainers resemble Invisalign trays because they’re thin, clear and fit securely over the teeth. When you think about a retainer, chances are you picture the Hawley retainer. These retainers are made of acrylic that is molded to fit the inside of the roof or floor of the mouth. There are metal wires that wrap around your teeth to hold the retainer in place. These retainers are removable. Talking and swallowing while wearing these retainers can be challenging. 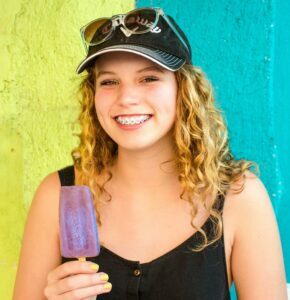 Your orthodontist will discuss your retainer options and which type is best for your situation. After your braces are removed, it’s critical to wear your retainer as recommended by your orthodontist. If you don’t, your teeth will likely shift over time. 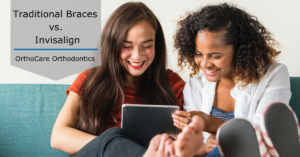 Contact OrthoCare Orthodontics today to learn more about how we can help you attain the beautiful smile you have always wanted. We have two offices located in Charlotte, North Carolina. We also have offices located in Spartanburg and Rock Hill, South Carolina. Contact one of our offices today to schedule your free consultation.